Well, here it is: my wish list. I know, most people make a top 10 list to sell you on something to give to others. But this one is like a list for Santa. 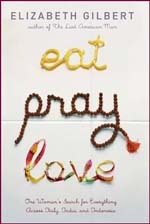 It is what I would like for ME! Is that selfish? After all, the saying goes “It’s better to give than to receive.” But I can’t help thinking how nice it is to receive. I mean, it really does rank pretty high in my book! So for the sake of being silly today, please indulge me. 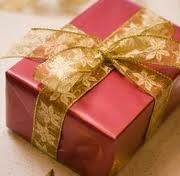 This Top 10 Wish List for Metaphysical Gifts is something I’ve spend a few minutes on. I think you’ll actually find something for yourself here, too. So I have put links with the descriptions so you can get a better look at the item. 1. 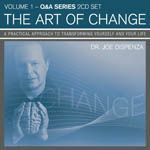 The Art of Change In his uniquely simple and practical approach, Dr. Joe Dispenza answers some of the most commonly asked questions, in this inspiring and educational Q&A audio series. • Conscious Aging—Ram Dass calls for us to move beyond our youth-fixated culture, to see that the final years of life are the culmination of our spiritual journey. 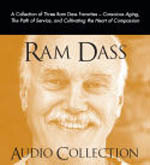 • The Path of Service—In our era of individualism, Ram Dass teaches, the path to internal freedom still begins with external action, in the service of others. 5. 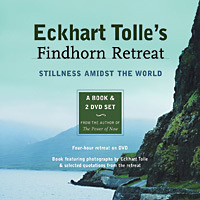 Eckhart Tolles Findhorn DVD-Book Set Eckhart Tolle, renowned for the simple and powerful truths in his books and talks, led an extraordinary two-day retreat at Findhorn, the famous spiritual community in Scotland. The entire event was filmed and edited into a wonderful four-hour video experience. Quietly and humorously, Eckhart gives us a profound message of hope and simple tools for transformation – the clear guidance we need to deeply realize the magic of every moment and deepen our awareness of the sacredness of being. His words have the power to profoundly affect our lives and reveal something new each time we listen. 7. Psychic Integrity, The Respected Practice of Modern-Day Mystics by Melissa Leath As a fresh and incisive book, Psychic Integrity probes the esoteric world of communicating with spirit beings and psychic phenomena. Mystifying concepts are explained in straightforward ways so the general public, as well as clients and novice psychics, can understand and become familiar with them. A major portion of the book takes you through the development process of becoming a reliable and honest psychic or medium. 8. 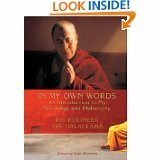 In My Own Words: An Introduction to My Teachings and Philosophy by His Holiness The dalai Lama. This fascinating book brings together extracts from some of His Holiness’s most powerful writings and talks. As he explains the elements of the Buddha’s teachings and the basic practices of meditation, he also engages and reconciles the innovations of modern science with Buddhist perspectives. Ultimately, His Holiness calls for the celebration of diversity and the recognition of interdependence that breeds a sense of Universal Responsibility—which must govern all of our relationships in this increasingly fragmented world. 9. Into the Mythic – Stories from the Edge of Myth, by Steve and Whitney. 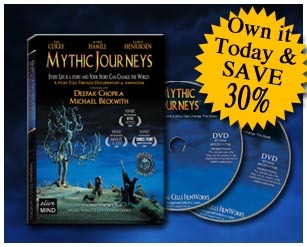 The award-winning film MYTHIC JOURNEYS features the voices of legendary actors TIM CURRY, MARK HAMILL & LANCE HENRIKSEN as well as original stop motion puppets by the amazing BRIAN & WENDY FROUD. The film also includes interviews with people such as Deepak Chopra, Michael Beckwith, Sobonfu Some, Robert Walter and many others. Filmmakers Steven & Whitney Boe were inspired by the works of Joseph Campbell. One of their favorite reviews came from Robert Walter, President of the Joseph Campbell Foundation and long time friend and editor of the famed mythologist. He simply said, “Joe would have loved this movie!” You can’t ask for much more than that. 10. 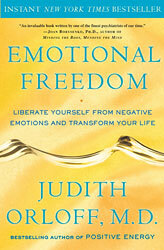 Emotional Freedom, Liberate Yourself from Negative Emotions and Transform Your Life, by Dr. Judith Orloff. Emotional Freedom is a road map for those who are stressed out, discouraged, or overwhelmed as well as for those who are in a good emotional place but want to feel even better. As Dr. Orloff shows, each day presents opportunities for us to be heroes in our own lives: to turn away from negativity, react constructively, and seize command of any situation. Complete emotional freedom is within your grasp. Well, there you have it! Some are just for fun, and some are instructional. But they all are important for metaphysical and spiritual growth these days. What other books or dvds would you like to have given to you? Paranormal Articles, Radio shows, and quality Readings. … Finally, if you have an agenda that is so far off your personal center it forces you to go around in circles instead of creating harmony then you need to re-evaluate your spiritual aim. Physical mediums today say that the spirit world has moved on from these “parlour tricks” to more advanced energy work. Bugger that, I say – show me an apport! I have a serious problem with being told that spirit has moved … ~~ Very interesting article about physical mediumship. Yes, I believe it has taken a backseat to its sister, mental mediumship. But I feel like it will always have a place in validation of spirit life.